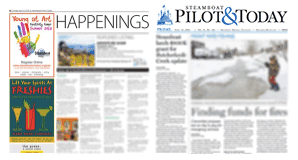 Your “Our View” commentary in the Jan. 30 issue of the Steamboat Pilot & Today overlooked two far larger issues concerning the government shutdown. 1. Every bureaucrat and welfare recipient will receive all back monies due. 2. You completely ignored the reason for the closure — that being the welfare and safety of our nation and our citizens and our future by completing construction of an impenetrable wall.